Trying to figure out if I'm wasting my time with this blog or not. It's just been a forum for me to rant about things and share some of my great photos. I'm working on so many projects that I could use the extra writing time. I'm really excited about finishing the novel that I started almost 20 years ago called ISLAND OF BOSSY WOMEN. It's about a tight-knit Southern family and a missing father and the humor of a son who returns home to a mother who expects him to make everything right. He returns home to a bizarre situation and a world filled with Southern women - his mother, her 8 nosy sisters, and his own sister who is not exactly his best friend. It's filled with love and humor and it takes me away from the crazy world of South Beach. But back to the blog, this morning I did more research on the Lincoln Road Art Deco Tour that I'm working on and took many photos. 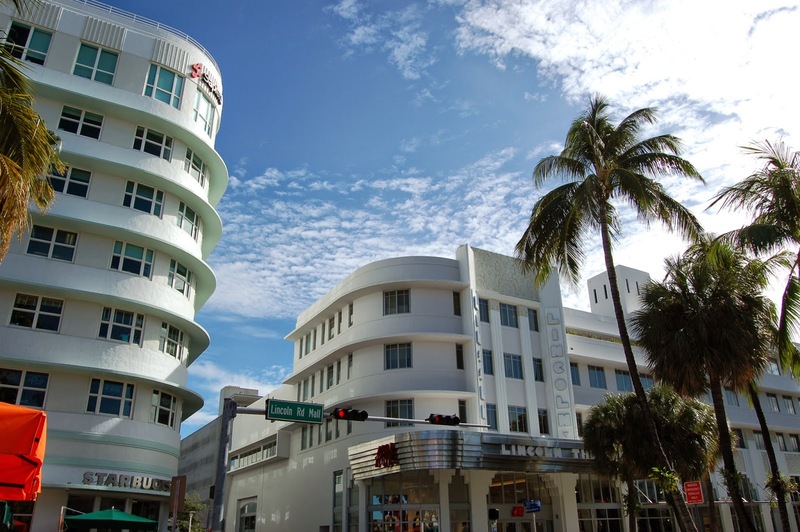 Many people don't realize that Lincoln Road was built by Carl Fisher, Father of Miami Beach, to be the Fifth Avenue of the South. When it was finished it was filled with an impressive assortment of stores like Saks Fifth Avenue, Bonwit Taylor, Tiffany's, and Harry Winston. There were four furriers, yes, the wealthy women visiting from up north would come down in the winter and shop for fur, six car dealerships, and six theaters. Lincoln Road is filled with history and I'm having fun researching all the buildings. If anyone has any Lincoln Road stories please share them.